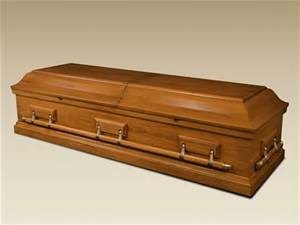 A Grave Interest: Would You Rent A Casket? There are always new cost-cutting ideas and eco-green practices being launched in the funeral industry, many of them taken from “real life” options that we select every day. After all, we rent homes to live in, cars to travel in when we’re on vacation and vacation houses to stay in once there. 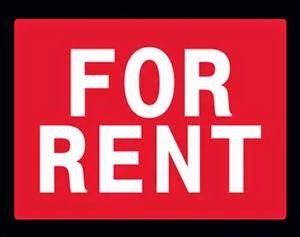 We have no problem renting DVDs, CDs, and audio books. And, we really don’t give a second thought to renting more personal items like wedding gowns, tuxes, evening dresses, jewelry, even fancy dress shoes. So why do we tend to feel uncomfortable at the mention of renting a casket? 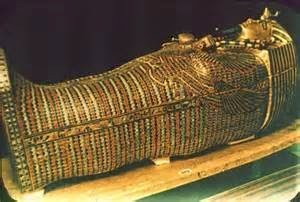 Coffins have been used for burial for thousands of years. Known by several names including sarcophagus, coffin and casket, the box, which contains the remains, has always been a difficult choice; after all, this is the “final resting place” of the deceased. 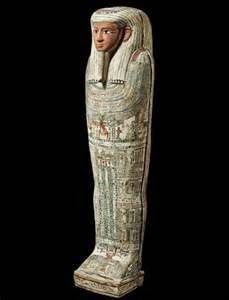 Sarcophagi were used in ancient times and by religious orders as a means to hold the remains of their royal and powerful. A sarcophagus was carved in stone, usually bearing the appearance of the deceased on the outside of the box. 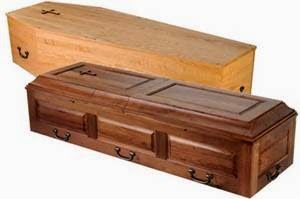 A coffin is a box used to hold the remains for viewing and burial, and originally had six sides, plus the top and bottom. Early Americans built coffins for family members from the wood they cut and planed from local trees. 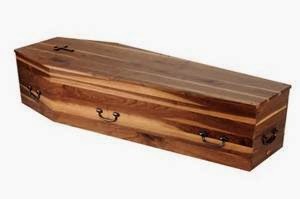 In the U.S., a box with only four sides, plus top and bottom, is called a casket. That change in verbiage from coffin to casket is thanks to a marketing strategy that equated the burial casket with the same name as a box that held precious jewels; a jewelry casket. Regardless of the name, this container is where we place the remains of the deceased for visitation, during the funeral and for burial after. 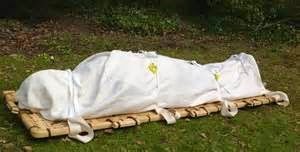 But, not all societies or religions use caskets, many use shrouds; in the case of cremation, an inexpensive casket or a biodegradable paper coffin might be used. 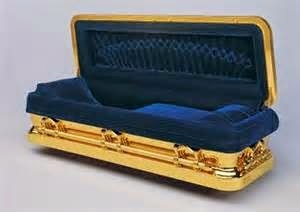 Something to remember, the casket is one of the most expensive items purchased for a traditional funeral. 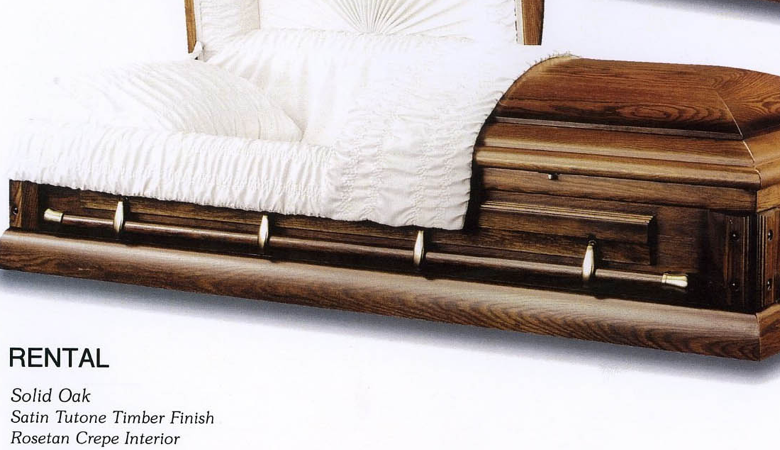 Caskets are usually crafted from wood, fiberglass, or metal and prices for the average box can vary from $2,000 to over $10,000, depending on the material used, extra features selected and how much ornamentation is in and on the box. But you are not required to purchase a coffin for burial. 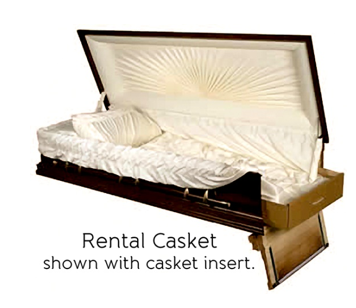 There are several options available including rentals, shrouds and biodegradable caskets. 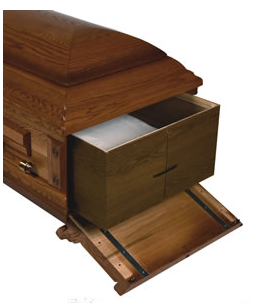 When deciding on a casket, do your homework! 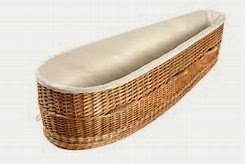 You might be able to purchase a biodegradable cardboard casket or wicker coffin for less than a rental fee, which averages from $400 to $1,200. You might find a local carpenter who will build one for less. 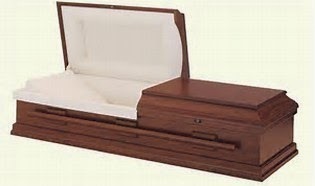 Or you might decide that renting a casket is the right choice for your situation. Either way, you know you have options.